If you remember Dennis the Menace and you used to laugh at the things he did, the list below would probably amuse you and make you think of forgotten childhood memories! We all know that kids are capable of doing all kinds of things and, being the little rascals they are, most of these thing could cause some damage. We guess that as long as no child gets hurt, we might as well smile about it and let it go. To us it really looks like she just watched the Avatar movie and she probably got quite inspired by it. This little girl is enjoying herself as she seems to be preparing for her new life in the world of fiction. 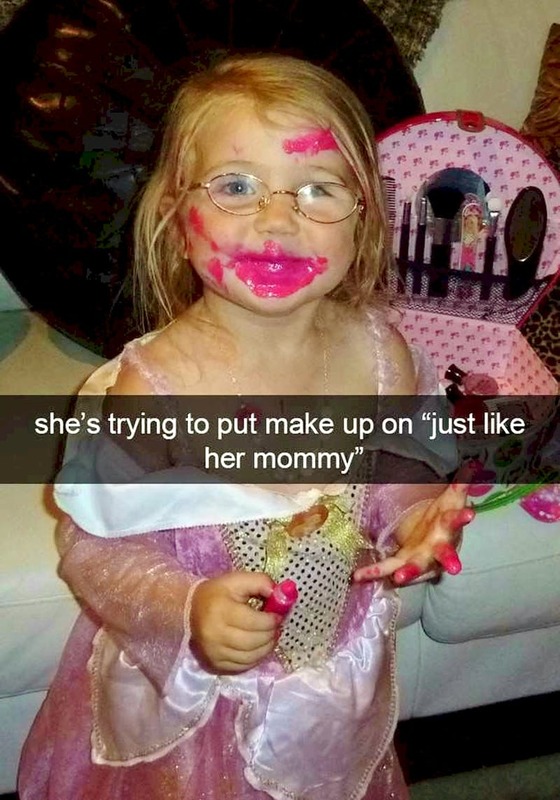 We think the same feeling will not apply for her mother, though, once she finds out her makeup kit was ruined. 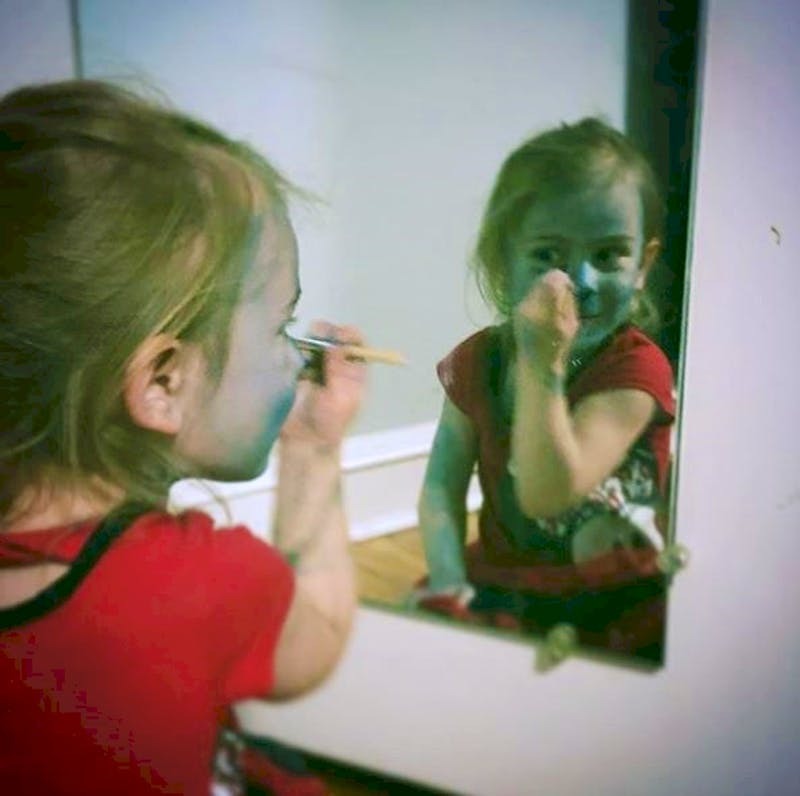 In our opinion this little Avatar will surely be grounded, so she can learn not to play with makeup. In the same time, this photo will surely turn out to become a very sweet childhood memory. 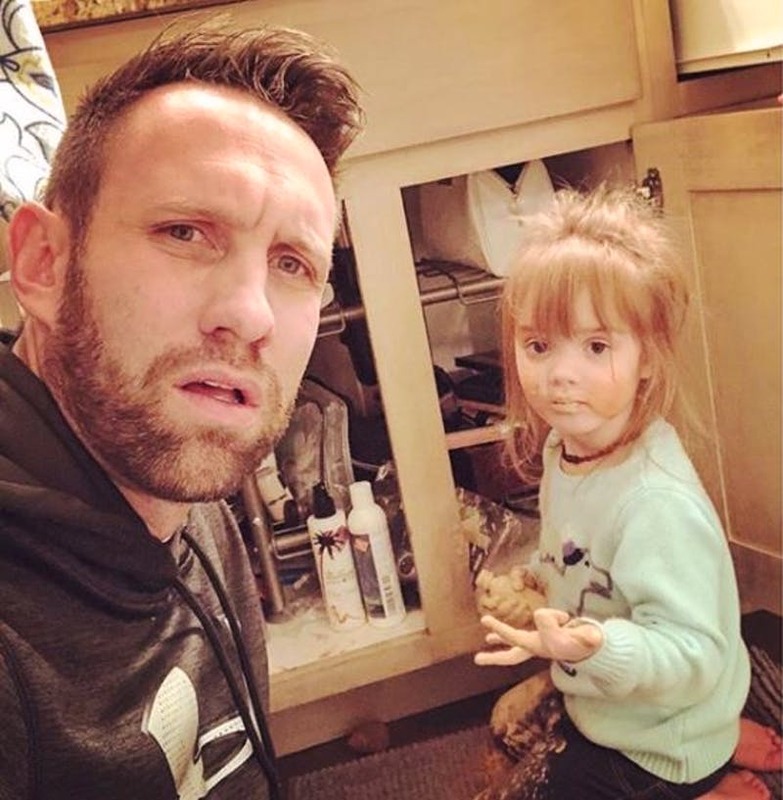 This little girl not only has makeup all over her cute face, but she actually used it to draw on the furniture. Maybe a true artist lies in her but there are some other non-destructive ways to be creative! We can only imagine the reaction of the person who walked up on this situation. It looks like she did not really realize what she did was wrong at first, as she had this surprised expression. The person now needs to firstly explain why this is not a good game, then to wash her face and finally to spend some time cleaning the furniture. This is probably not the best way to spend an afternoon. We hope the little girl understood why this was wrong so she does not repeat it again. 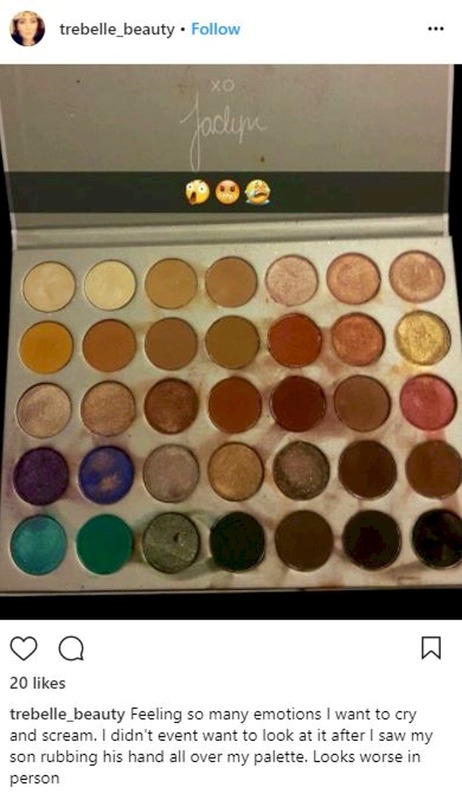 This is the time when a ruined makeup palette brought up so many emotions that the situation had to be shared. Also, as we can tell that many people could relate to this kind of story. This is what can happen when you leave a child alone for 5 minutes. Have you noticed how they have an idea and they act on it just in a matter of seconds? We believe that this is exactly what happened here. In our opinion even if it looks like a total disaster they can still be cleaned up and fixed, but surely it was a shocking moment. 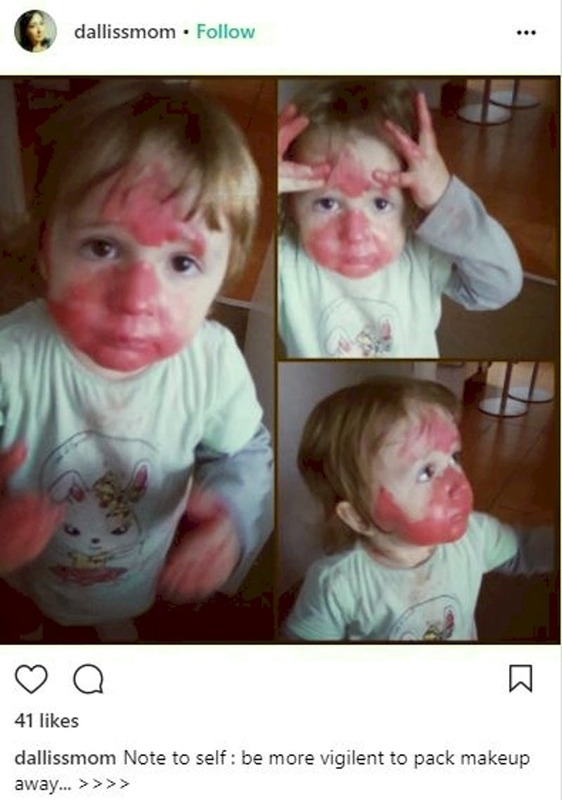 Now the child should be thought better to not play with makeup ever again. 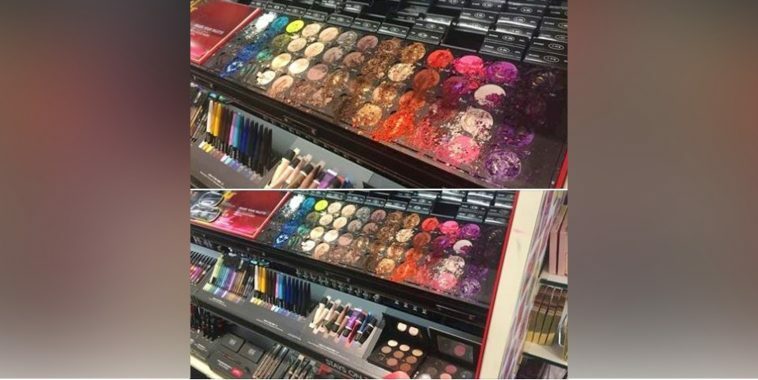 Finally, this situation might not be too bad as it is actually a good reason for shopping for new makeup products, and everyone likes shopping, right? The only problem here is that this child looks so proud and happy with herself that we are almost 100% sure that she will do this again. 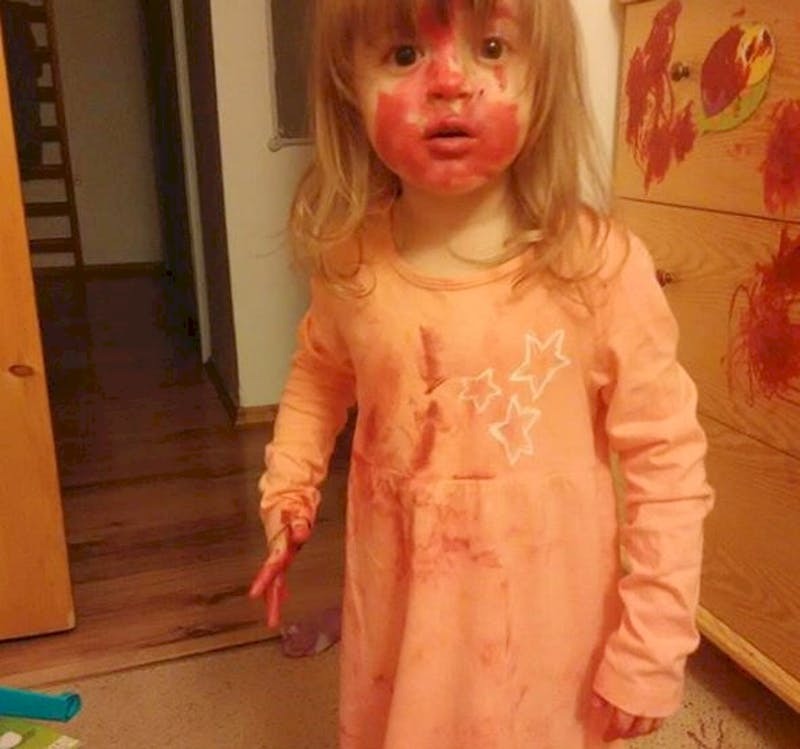 Not only that she made this mess and ruined the lipstick, but as we can see it was a long-lasting 24-hour lipstick. If you do not know this is the moment we would also confirm that it is extremely hard to remove it. Although this game caused some inconvenience, it surely looks like it was a funny situation after all. When we see a photo like this we sometimes think, where were the parents and how come nobody saw him doing this? Well, as we said before, this result can be achieved just in a matter of seconds. It looks like this kid just realized what he did was wrong and is now full of regrets. Most probably his mommy forgave him instantly as he had this cute look on his face! Finally we think that red is not really his color, but he now knows better and does not look willing to try out any of the rest. Maybe it is better if he sticks to playing only with his own toys. This situation most probably happened because the little girl got bored with her regular toys. Then she got an idea to try out mommy`s new lipstick and went with it in the bathroom. In a moment she became a makeup artist on her own, without even using a mirror. Once her mom realized that something is going on and caught her, even the little girl was surprised by her own achievement. Another possibility is that she just pretended she does not know how this happened. Maybe she thought that she might get away with the punishment this way. We do not believe this would work in such a situation, but maybe it was worth the try. This was probably a very interesting morning! 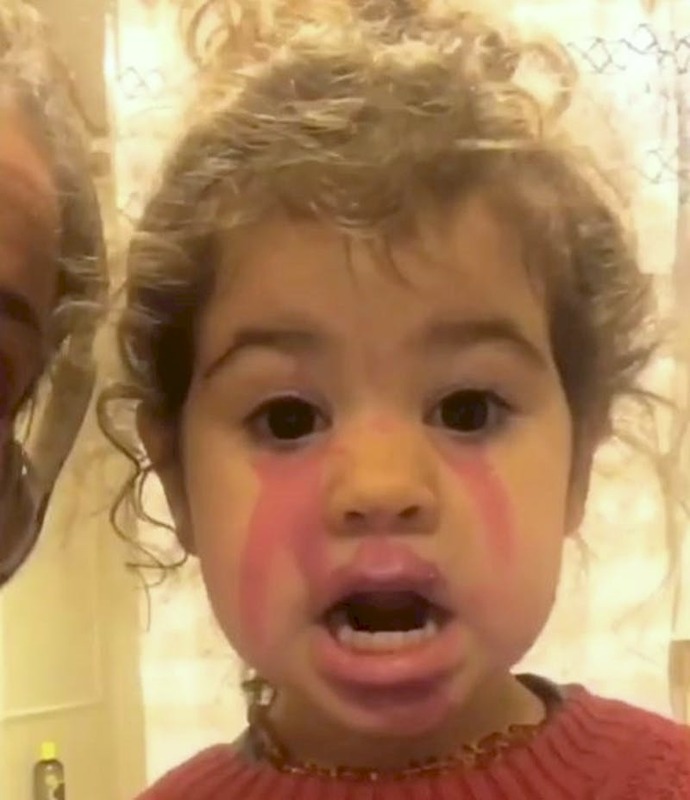 Maybe the little girl was always quite curious about her mommy`s makeups and she finally got the opportunity to try out the lipstick. She put some on her lips, but she obviously did not stop there. After applying some on her eyes and forehead, she quickly realized something was not quite right and she went to her mom. This situation is quite funny to see and they both can learn from it. 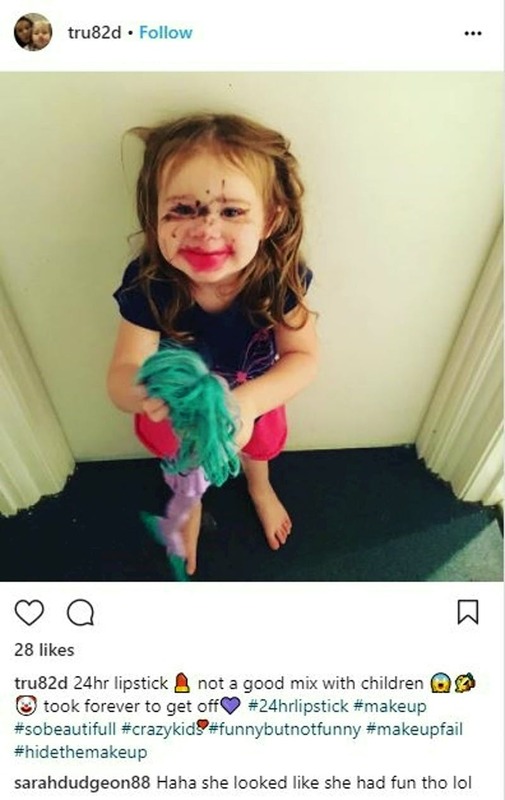 The little girl now knows that the lipstick goes only on the lips, and her mom now knows that she needs to hide her makeup kit. When we look at this photo it seems like this is not happening for the first time. Some little girls are really passionate about makeup, dressing up and all kinds of girly things, more than playing with their regular toys. It looks like someone tried to hide the makeup, for obvious reasons. But she managed to find it and quickly try it out. On the photo he surely looks quite shocked by the situation while her expression says something like: “Oh well, you caught me again.” We believe she will surely be grounded after this, so hopefully she will get the lesson this time. 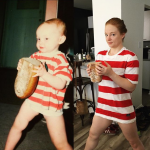 In this situation we believe that this little princess was left unattended just for a while and she quickly found a way to become pretty, just like her mommy. 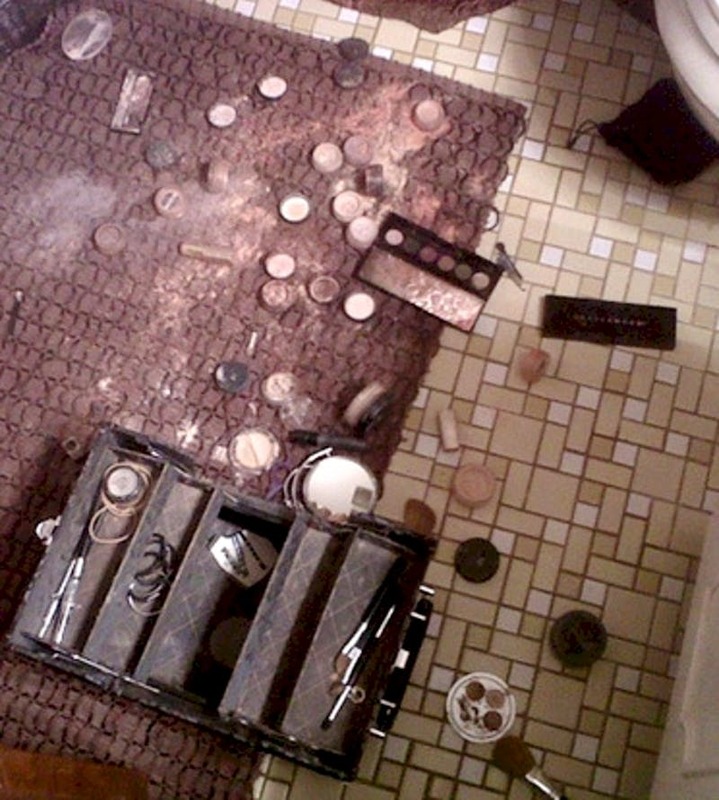 It is not a good idea to keep a makeup box in a place reachable by young children as this could happen at any moment. 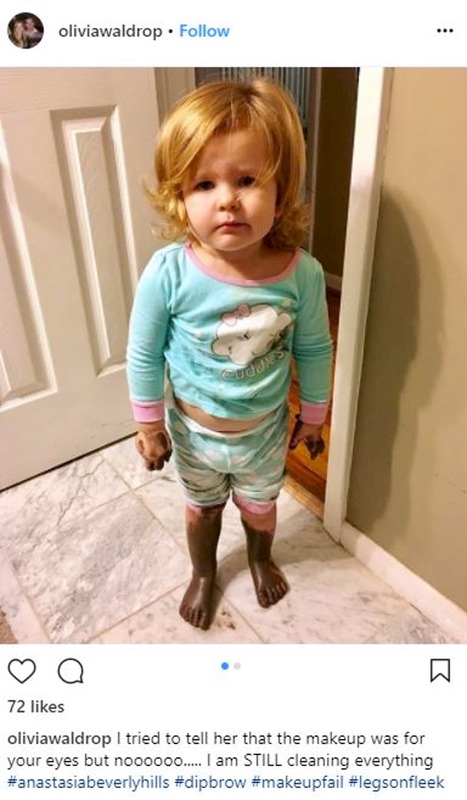 It looks like this girl had a lot of fun and she is so sweet, that we guess she got away with it this time. It was most probably her mother who posted the story. To us it seems like this little girl`s only regret is that she needed to stop what she was doing. We can only imagine what the emotion in this moment was. 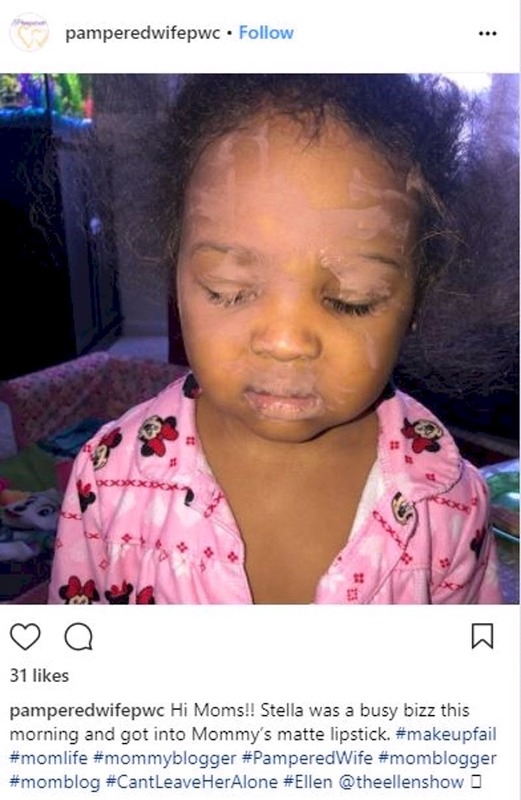 However by the looks of the results this toddler achieved, we do not believe it would have been much better if she had focused only on her eyes. That surely looks like a heartbreaking moment for someone. We do not need to be detectives in order to guess that children were probably involved in this whole situation. Similar to the rest of the stories, they decided to play and to take a look what is inside mommy’s special box. Shortly everything went wrong as it accidently fell off on the ground. The result is quite obvious and we would truly understand if this mommy was very angry about it. This kid really caused a lot of damage! By the looks of his face he does not really seem to be sorry. 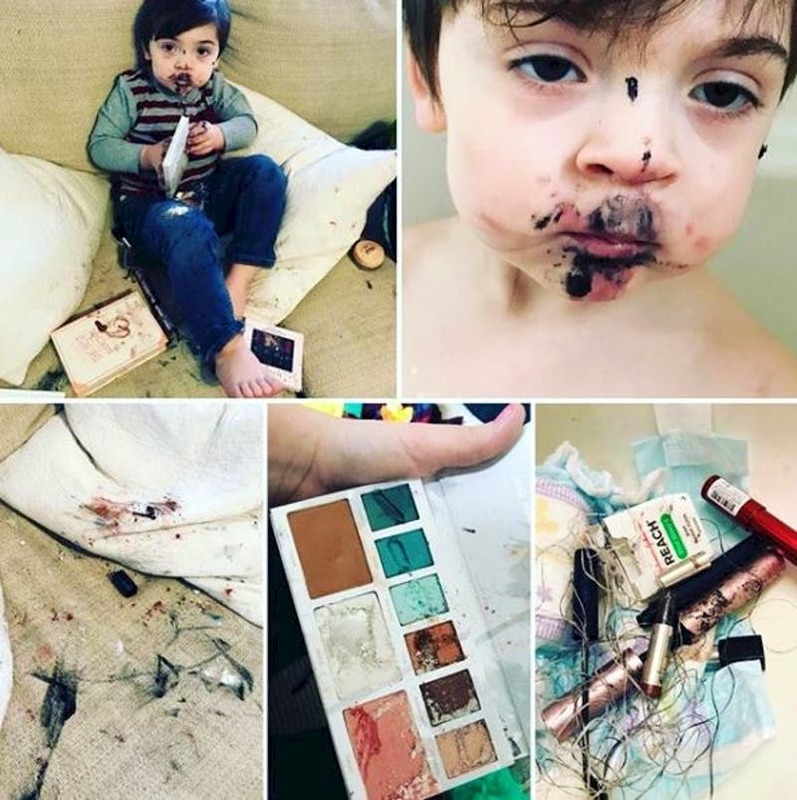 It is not only that he managed to achieve this in less than 5 minutes, but he successfully ruined both the sofa and the makeup kit. 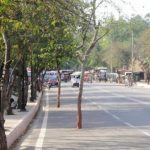 This was most probably a shocking sight, as it is hard to even imagine that these damaging results could be achieved so fast. This is one little girl who seems to be enjoying herself and this amusing game. 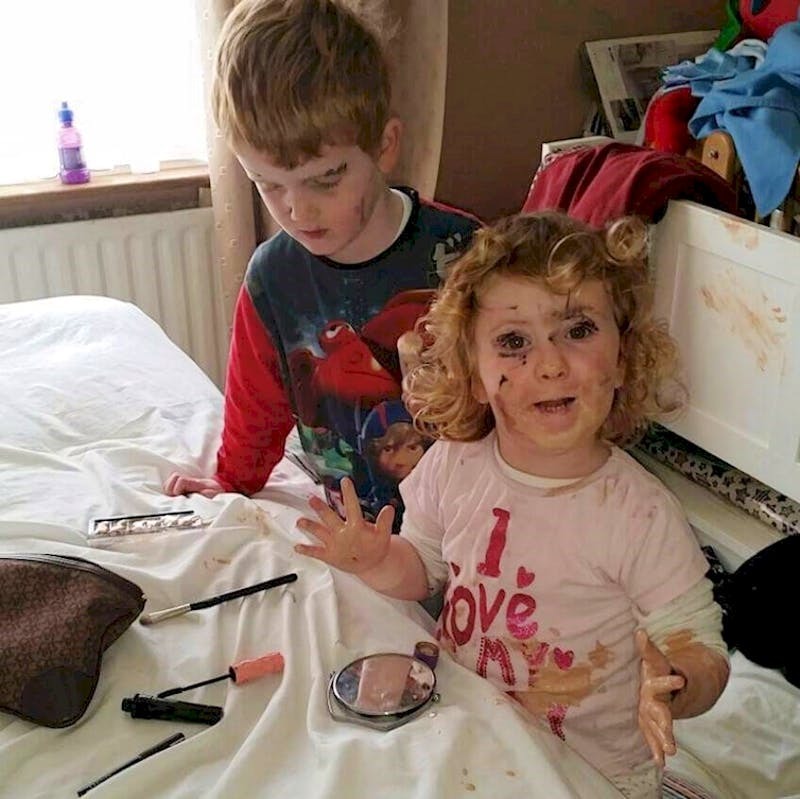 We believe the photo was taken just a few seconds before someone explained that makeup is not a toy. The little boy in the photo is her partner in crime and he still looks quite intrigued by the content of the makeup bag. We think that it was quite unexpected to walk into this entertaining game they played. We cannot judge them for being curious; however, it would be best if they never repeat this game again. We all know that if it looks like chocolate and smells like chocolate, it is not always chocolate! This unfortunately is not the case of this photo. 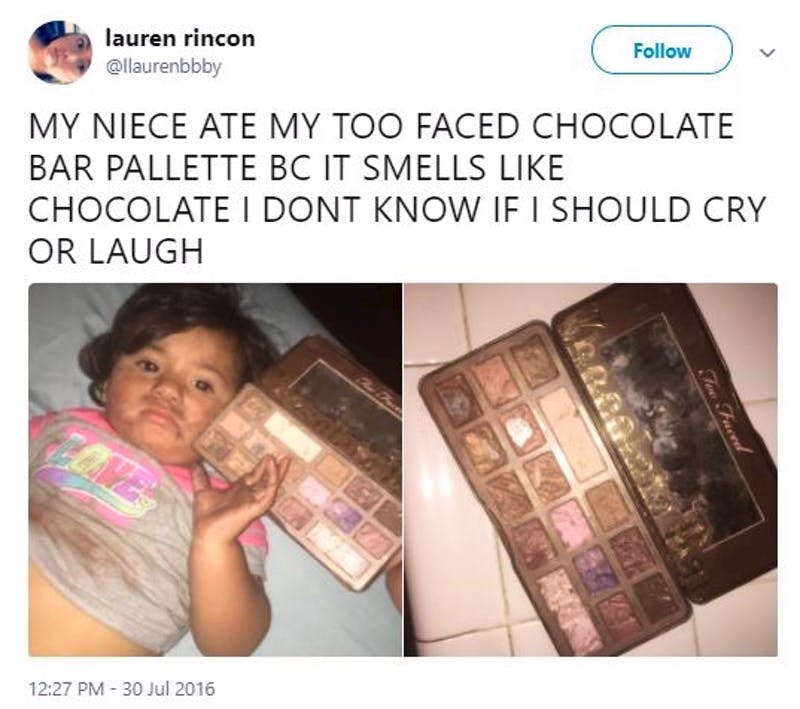 As we can see from the tweet, what happened is that this toddler actually ate some of the makeup. Her aunt does not even know how to react to this situation. It is surely both funny and sad at the same moment. We believe that next time surely she must hide her makeup kit somewhere safe.